The beautiful city of Funchal hides an exciting past full of stories and flavours to unravel in its streets and alleys. Join us on a Madeira Wine Tour through the city, discovering our gastronomy , history, architecture and of course our wines! 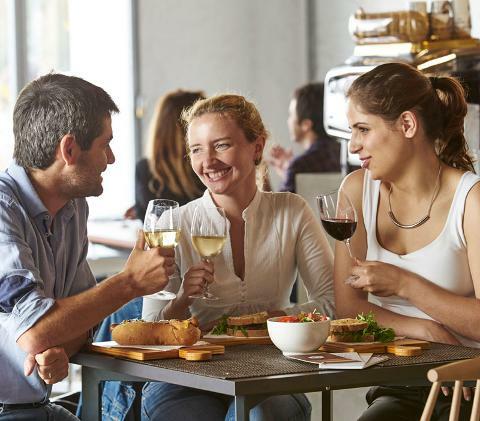 We'll take you to taste the most traditional and authentic gastronomy from some restaurants, wine producers and the local market. 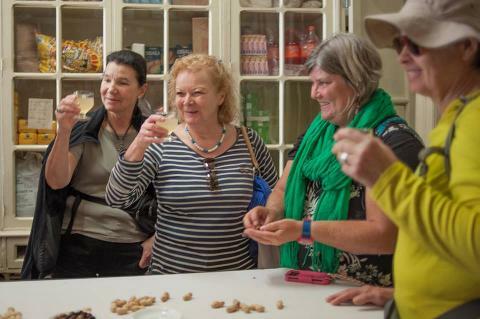 The Food & Wine Walking Tour takes place every Tuesday and Thursday and it starts at 10.30am. Attendance 15 minutes earlier is required. The meeting point is at Infante Roundabout right next to “H&M” store at 10.15am. The first place is an innovative project that aims to keep the traditions of Madeira, its culture and art alive. Come and taste the perfect regional delicacies! A 100% Madeira in a madeiran chocolate factory! All about elegant chocolates and typical flavours. Simply Irresistible! The wines from this wine producer are appreciated all over the world with their old wines having the highest reputation among top professionals. The best-known Madeira cookies and sweets factory. Recipes are traditional, always! This is an appreciated typical bar amongst the locals where it is possible to eat black scabbard fillet sandwiches or fresh tuna, anytime of the day. The Farmers Market in Funchal offers a profusion of colours and scents beginning with the colourful flowers past the so appreciated seasonal exotic fruits and ending in the large and bustling fish market. A typical madeiran grocery store, where various spices can be found and also beans, potatoes and much more. Here it is also mandatory a stopover to try the famous Poncha! Come and delight yourself with tasty regional and home cooking. 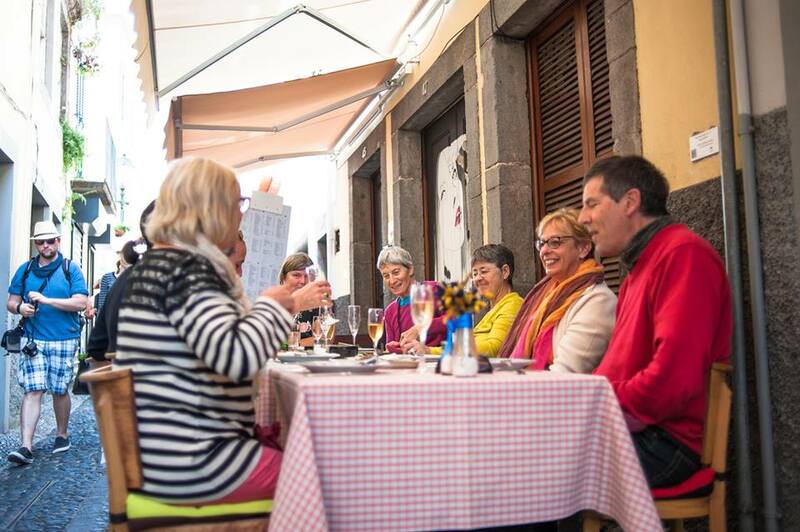 This restaurant located in the old town offers a rich and complete menu of typical and secular Madeira cuisine. After a morning filled with delicious tastings, we will end our tour in 9th stop, a tea house in Old Town, the perfect ending for this tour.